The 'ShipCraft' series provides in-depth information about building and modifying model kits of famous warship types. Lavishly illustrated, each book takes the modeller through a brief history of the subject class, highlighting differences between sisterships and changes in their appearance over their careers. This includes paint schemes and camouflage, featuring colour profiles and highly-detailed line drawings and scale plans. The modelling section reviews the strengths and weaknesses of available kits, lists commercial accessory sets for super-detailing of the ships, and provides hints on modifying and improving the basic kit. This is followed by an extensive photographic survey of selected high-quality models in a variety of scales, and the book concludes with a section on research references - books, monographs, large-scale plans and relevant websites. 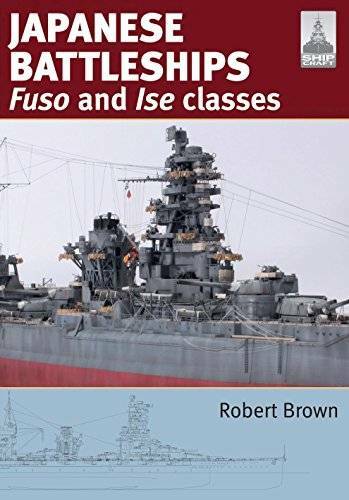 This volume covers the two related classes of Japanese 14in-gunned battleships, originally built during the First World War but subsequently totally reconstructed. They are famous for the towering forward superstructure, usually described as a pagoda bridge, that they featured when rebuilt. Ise and Hyuga underwent further reconstruction during the Second World War to emerge as a unique hybrid of battleship and aircraft carrier in a desperate attempt to compensate for fleet carriers sunk earlier in the war.